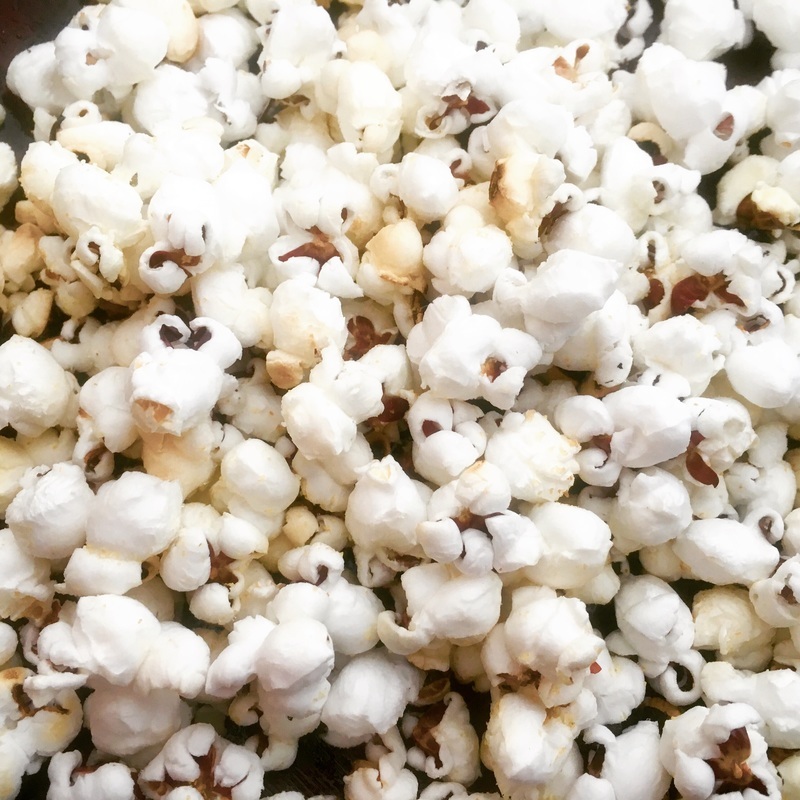 Popcorn can be a healthy and convenient snack to have on hand. However, microwaveable popcorn contains two particularly worrisome molecules that have been linked with lung disease. Diacetyl is the molecule that is responsible for the butter flavor and when it is heated it can travel in the steam and be inhaled. This has been linked with bronchiolitis obliterans, an irreversible constricting of the lungs due to scare tissue. Flurotelemers line the bag and prevent the oil from leaking. When heated they are converted to perfluoroctanoic acid which is a known carcinogen. The food industry's primary goal is profiteering and not preventing disease pathology. To avoid inhaling these harmful chemicals try popping your own popcorn on the stove. It is just as fast and even less expensive. Directions: Place the pan on the stove and measure out the oil. Put 2 cornels of the popping corn in the pan. Turn the heat on medium and allow the oil to heat with the lid on. Wait until the cornels pop and then add the 2 Tbsp. of popping corn. Quickly cover with the lid. When the popping begins to slow turn off the heat and let the popping almost stop. Pour into a bowl and season. If the cornels are heated on high or left in the pan too long they will burn.